Thirteen long years ago, the hip hop supergroup known as Deltron 3030 released their debut album. Comprised of Del the Funky Homosapien, Dan the Automator, and Kid Koala, Deltron 3030 was set in the year 3030 and sounded exactly like the future of hip hop. It seemed like a one off, but every so often you’d hear a rumor of a follow up album. Event II doesn’t feel as groundbreaking as Deltron 3030 did 13 thirteen years ago. It could be easy to blame its existence on nostalgia. I mean, the theme of the album is nostalgia for when times were better. Think back to 2000… Things did seem better then. Nostalgia or not, this is a strong contender for Album of 2013. 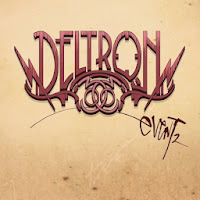 Head on over to Deltron 3030’s official website to purchase the album or for more info. Below you’ll find the video for “City Rising From the Ashes” and their current tour dates.